Remove Adware Using Bitdefender Adware Tool In Windows 10:- It’s quite a common practice to click on all the download buttons when we are on one of our daily browsing sessions. We believe that whatever we download is the only thing that gets downloaded. But the truth is way bitter than that. The possibility of a potentially unwanted application getting downloaded and installed in your system, while you download a seemingly harmless software, is very high. These applications are collectively known as adware and are generally not malicious. But they can greatly compromise your user experience by showing you unwanted pop-ups, install browser toolbars or by flooding you with unwanted ads. Most of the anti-virus software are capable of finding and removing the adware as well. But if you have a specialist in this case, then that’s better, isn’t it? 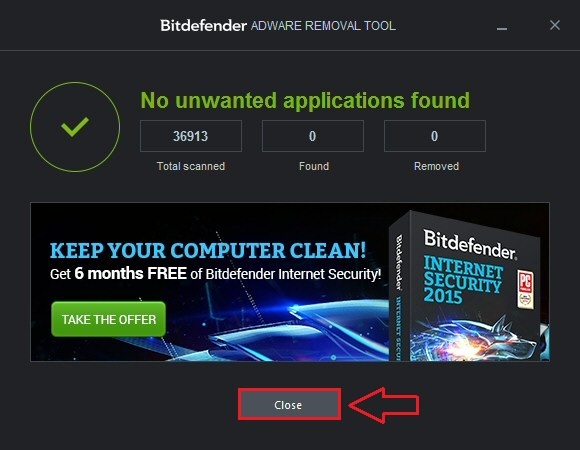 That’s exactly what the Bitdefender Adware Removal Tool offers for you. Read on, to protect your PC from unwanted applications that crawl into your system without your consent. First of all, you have to get the Bitdefender Adware Removal Tool. For that visit their official website and click on the download link. You can get to the Bitdefender Adware Removal Tool download link from here. The file is around 50 MB in size. Once you download the tool, you can directly use the tool without installation by double clicking on the downloaded file as the Bitdefender Adware Removal Tool is portable. You have to agree to the terms and conditions of the Bitdefender Adware Removal Tool inorder to use it. For that, simply check the checkbox corresponding to I accept the End User License Agreement as shown in the screenshot given below. Once you are done, click on the button named Get Started. 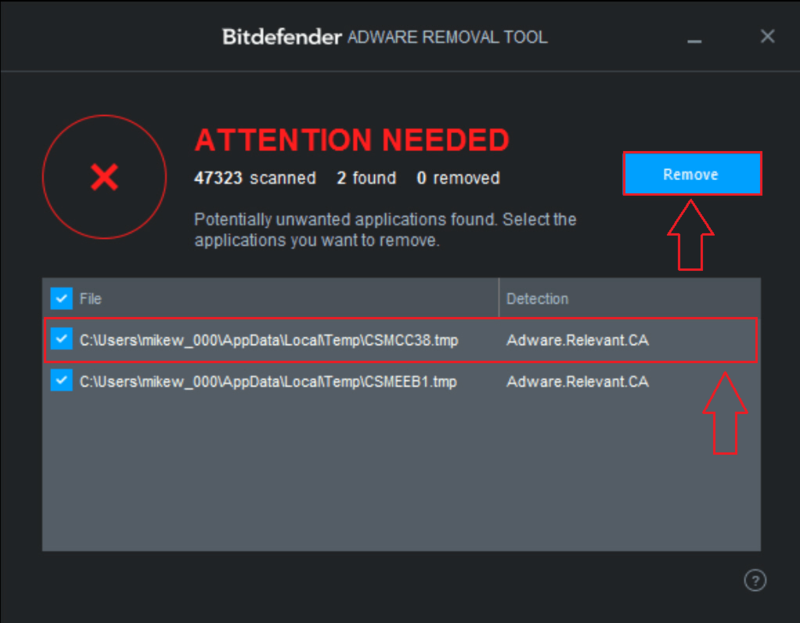 Once you click on the Get Started button, Bitdefender Adware Removal Tool automatically starts scanning your system for potentially unwanted applications. 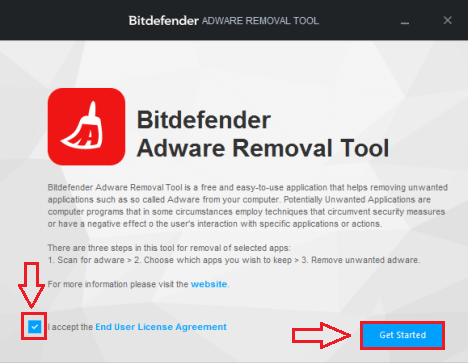 If the Bitdefender Adware Removal Tool finds any potentially unwanted application in the process, you can click on the entry and hit the Remove button to remove it from your PC. A No unwanted applications found message tells you that the security of your system is not compromised and that you can sit back and relax. Run the Bitdefender Adware Removal Tool on a daily basis to keep all the evil hands out of your system. 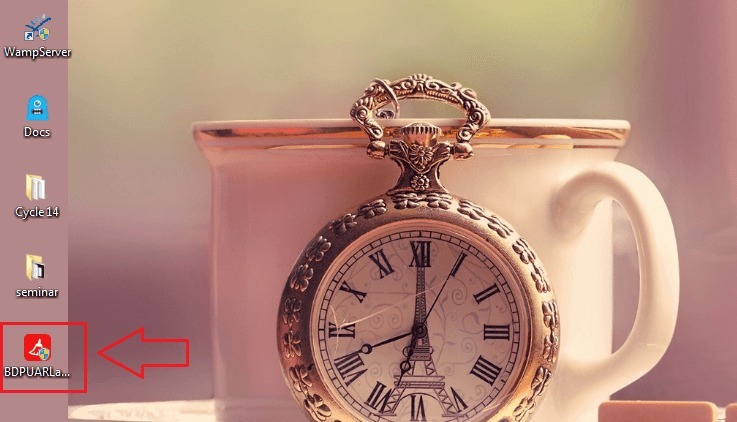 Try out the tool today itself to experience all the benefits that it provides. Hope you found the article useful. Do come back again, as there is always something new waiting for you.